The AL-TAG2 is a very rigid plastic tag holder to display two by 4-inch labels. This holder is taller, and it is also harder than its AL-TAG1 counterpart. This item is ideal for an elevated structure that needs signs. If you are close to it, the tag is large enough to contain many useful pieces of information. Because of its size, the AL-TAG2 was not designed for labeling a compartment of shelves. If you plan to identify your shelves and racks, which we always recommend, be sure to check the AL-TAG1 page. 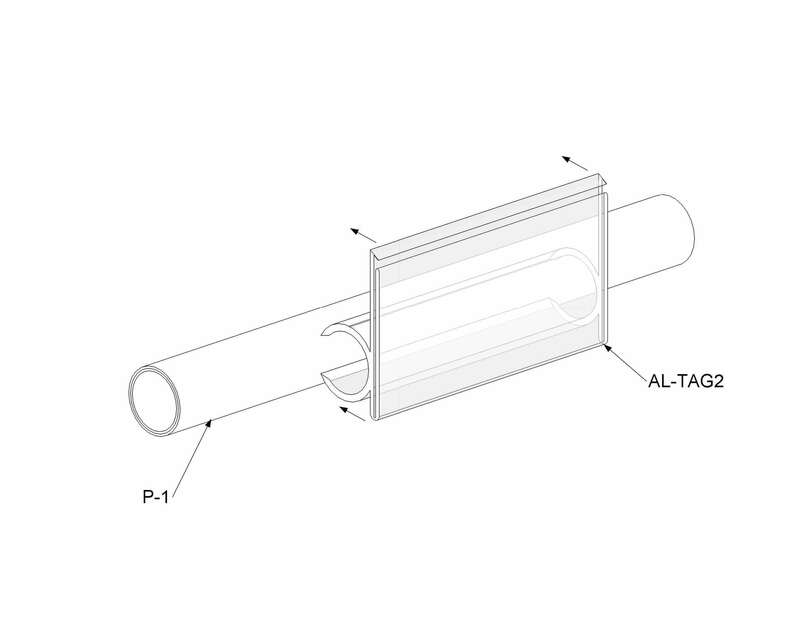 The AL-TAG2 may not be the best solution for compartment signaling, but it is the most prominent tag in the Flexpipe system and it is a no-brainer when it comes to identifying complete structures or to have instructions directly on them. You can download a printing template right here to create perfectly sized labels for the AL-TAG2. 2- Take a AL-TAG2 and press it on the P1 pipe until it cover the pipe.